In the 20th Century, before the internet became ubiquitous, an organization’s written correspondence was one of its primary points of contact with its partners, suppliers, and the public. Accordingly, stationery became an important medium for graphic design. 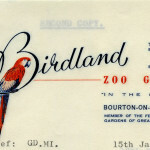 The Wildlife Conservation Society Archives contains numerous pieces of correspondence with striking, beautiful, or amusing examples of letterhead design. We are very pleased to report that we have received a Preservation Assistant Grant from the National Endowment for the Humanities! This grant will support a general preservation assessment of the WCS Archives film collection, which contains approximately 2,200 film prints created by WCS zoo, aquarium, and field conservation staff over the twentieth century. A preservation consultant will conduct a formal assessment of the film collection and its storage environment in order to inform the Archives’ goals of creating a sustainable preservation plan for the collection and making it accessible.The assessment will support the Archives’ future ability to budget and plan for the collection’s rehousing and stabilization and determine options for the collection’s future accessibility. We look forward to keeping you updated as the assessment gets underway this year! For more on the NEH’s recent awards announcement, see here. We are delighted to report that the WCS Archives has been awarded $60,237 from the National Historical Publications and Records Commission (NHPRC) to process 13 important collections from the Archives. Among these are New York Zoological Society (NYZS) President Fairfield Osborn records and World’s Fair records, 1935-1967; Bronx Zoo General Curator Lee S. Crandall records, 1903-1969; NYZS Conservation Department records, circa 1969-1979; and NYZS Education Department records, circa 1967 to 1982. 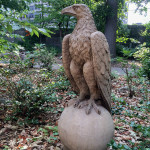 In short, this project’s goal is to provide access to unprocessed and unexposed collections that document the mid-twentieth-century American environmental and wildlife conservation movements; reveal the evolution of exhibit design and animal care in zoos and aquariums; and provide exceptional glimpses into both zoo- and conservation-based activities in the United States. Together these collections cover pivotal events in the history of WCS that also represent important moments and trends in the cultural and scientific histories of New York City, the US, and the world. The project will run from June 2016 to June 2017, and we look forward to sharing news and finds with you as the project progresses! This post was written by Kimio Honda, Studio Manager in WCS’s Exhibition and Graphic Arts Department. 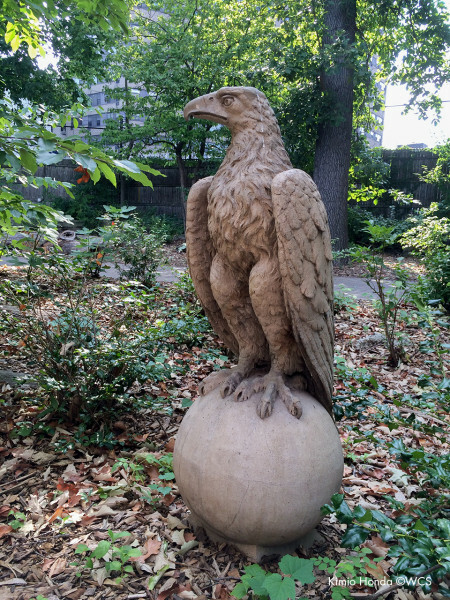 This is part 2 of 2 posts on eagle sculptures at the Bronx Zoo and beyond.